Here at Windsor we offer a complete Digital Signage Solutions service. From easy to use digital signage plug and play, to a fully integrated video wall display, or a touch screen to wow your audience. If it’s a digital sign or display we do it, know it, and sell it. It’s what drives our passion. With over 10 years’ experience in digital displays and AV services we have installed both indoor and outdoor digital screens and video walls in a wide range of locations and businesses. This includes museums and art galleries to numerous retail environments and corporate head offices. 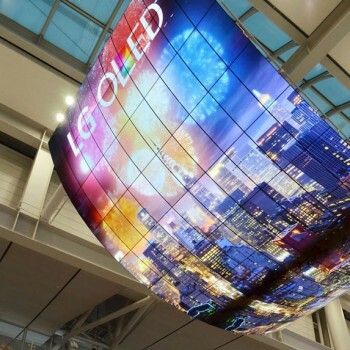 We have established close links with leading digital sign manufacturers such as: Samsung, LG, Panasonic and many more. This allows us to be a competitive leader in the digital display industry and helps us create a seamless integration for your business. We can provide an all-in-one digital sign solution for your retail outlet or corporation, whether it’s an indoor or outdoor sign you require. Windsor choose the best products for your project, meeting your budget. Based in Surrey we cover London as well as providing a UK wide installation service. We also stock our own rear projection film. We have used this to great effect, for campaigns such as for EE, Welcome Foundation as well as museum and art projects. Windsor Displays love a challenge and can offer you the complete solution’s service. 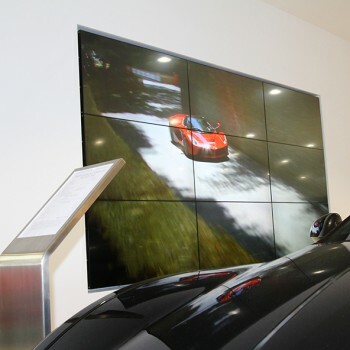 Have a look at our previous digital signage solutions via our online project gallery. Give one of our representatives a call today on +44(0) 1252 560 911 or use our online contact form.